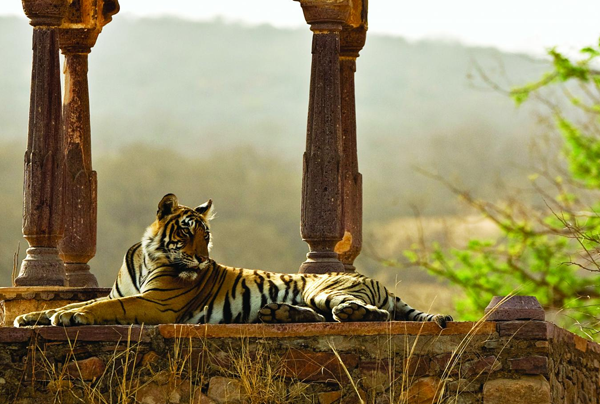 Ranthambore National Park is one of the best places to spot Indian tigers. 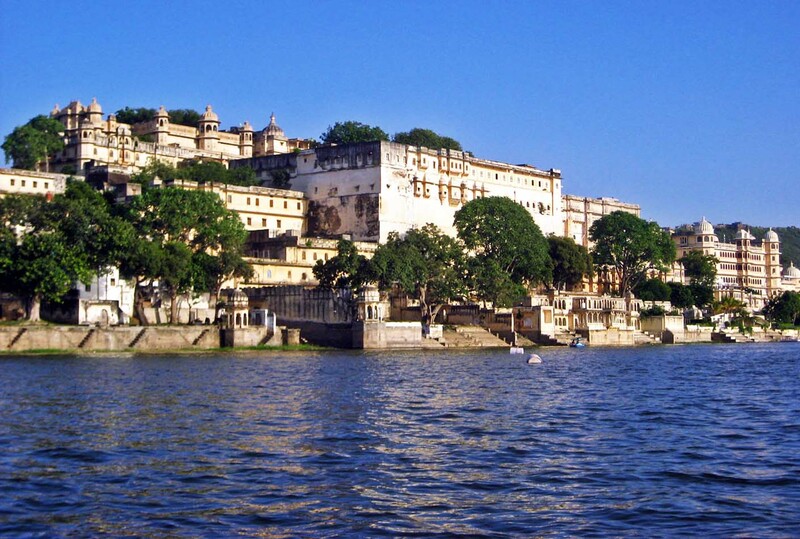 It is located near Sawai Madhopur in Rajasthan about 130 km from Jaipur. Formerly the park was the hunting area of ​​the Maharaja of Jaipur, but from 1980 it became a Tiger Project, a mission that has the purpose of protecting tigers; it covers an area with a semi-desert vegetation of 392 km. Inside the Ranthambore National Park are Mansingh Shrine and Kaila Devi Sanctuary, historical monuments surrounded by thick groves and meadows. 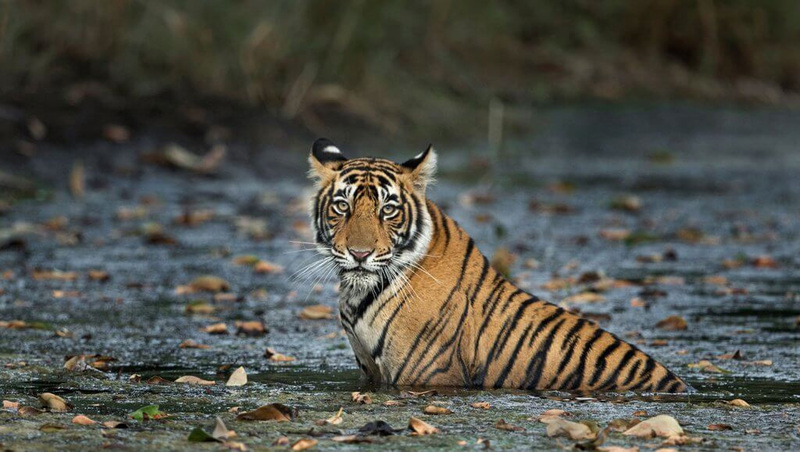 Tigers can be spotted in the shade of one of these monuments or on the shore, near many puddles of water. Fort Ranthambore and Jogi Mahal are other well-guarded park structures. Padam Talab, Milak Talab and Raj Bagh Talab are, on the contrary, three large lakes in the park where it is easy to see the animals drink, even the tigers. Get all travel information to visit Ranthambore National Park and enjoy Ranthambore Tour packages and explore our Travel packages for Ranthambore along with other interesting cities of Rajasthan like Agra, Jaipur, Udaipur etc. 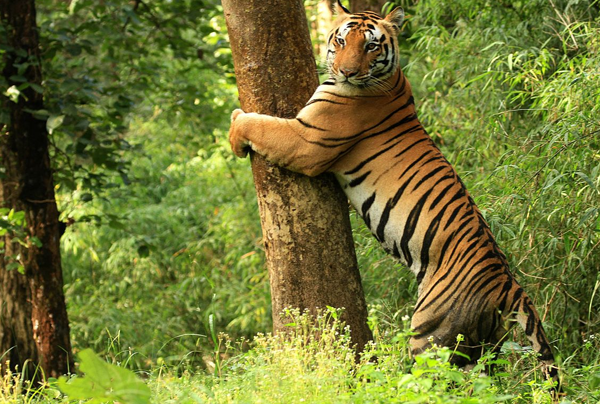 In addition to tigers you can see many other animals such as leopards, wild boars, bears, mongooses, hedgehogs, civets, different species of deer, antelopes, niglai, and different varieties of monkeys. volatile as peacocks, eagles, vultures, storks, grus and waterfowl such as lapwings, terns, herons and kingfishers. The flora of the park is typical of the semi-dry areas and includes the famous dhok tree (its leaves are the food of herbivores), the very beautiful flowers and the Banyan tree, of which a majestic copy is near Jogi Mahal and it is considered the largest of its kind in whole India. 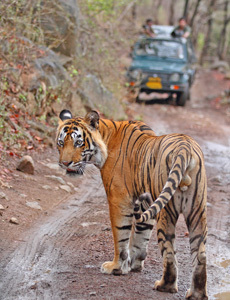 Enjoy Ranthambore Tour packages and get all indepth information on Ranthambore National Park and other best national park to spot tigers, Bandhavgarh National Park. Destination Covered: Delhi, Agra, Jaipur, Ranthambore.